" Basically they are a totally bespoke 'custom made' Mastering system by a boffin at Hi-q. 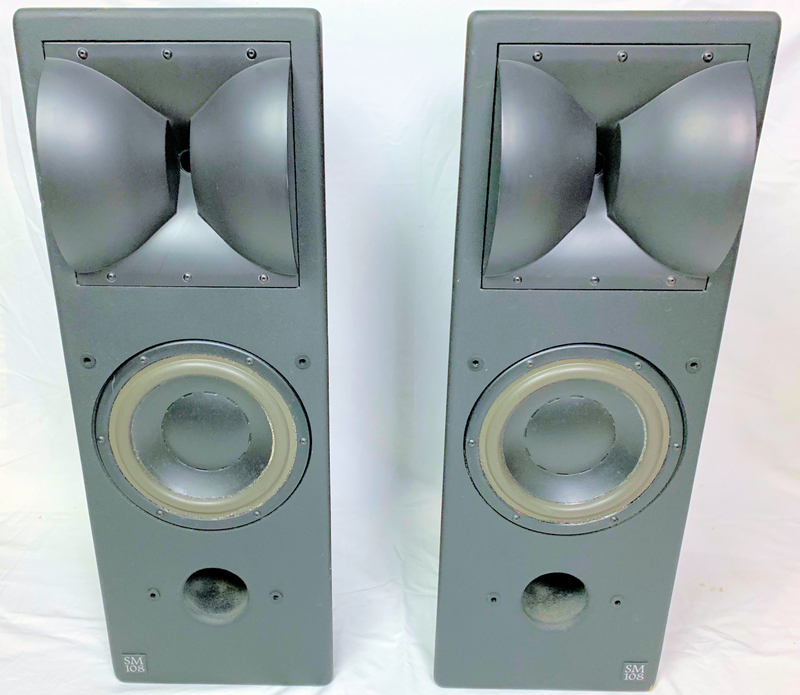 Taken from a long running professional mastering studio who chose these speakers over any others they tested. They were manufactured to incredibly high standards giving ruler flat response across the frequencies. Superb imaging and utterly unflattering sound allowing critical assessment of audio at the high level. Great to mix on also with detailed mid-range or for any sort of reference monitoring or even just a great hi-fi! Amazing value for someone looking to get into mastering compared to anything else of this quality." "I have heard them and they are superb, the system comprises a pair of ported 2 way speaker cabinets with an 8" Bass Driver plus a Bi Radial Horn, the amp rack contains a 2 way stereo Cross Over plus 4 Mono amp blocks, and interconnecting cables"
You are welcome to visit to hear this fine Mastering Monitoring System - please contact us to make an appointment.